What does it mean to be whole? I like to “get out of my mind” enough to hear the whispers of intuition, the voice of Spirit. Some kind of practice like meditation or a walk in the woods usually does it for me. But I never thought of mind and spirit being connected to the two hemispheres of my brain until I heard this amazing talk by Jill Bolte-Taylor. Through the experience of her stroke, she felt each side taking over her body and mind in turn. She wraps up her talk by wondering which side of ourselves we would choose to live in. I think that our challenge is to choose to live in both sides of our incredible brains. To me, that’s what it means to be whole. Most of the time we live on the left side – we’re rewarded for being logical and smart and accomplishing great things. But what do we get for growing spiritually? 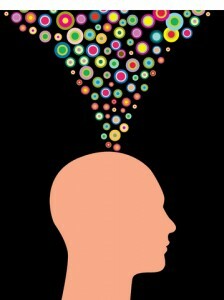 For choosing the flow and oneness of the right brain? In modern society, we don’t get external rewards for that kind of growth. The rewards are internal, even though they affect our everyday lives. Focusing on the right side helps us see connect to our spiritual, creative, divine selves. That connection can lead to deep, long-lasting happiness, peace, and satisfaction. A lot of us struggling to integrate these two sides of our brains. We love to be smart and accomplish goals using our brains, our technology and gadgets. We’re also looking to deeply connect with ourselves, each other, nature, and spirit. So how do we do that? We can start by acknowledging that both sides are equally important and valuable. And since our left brains are so smart and developed, we can afford to spend a bit more time and energy developing our right brains. Just getting the left side to be quiet is a big job – it’s used to getting all the attention, after all. But you can calm down that busy brain with breathing and meditation. Then your neglected right brain gets to shine. Your intuition and wisdom can start talking to you. And you can start listening to that side that connects to “Nirvana.” Who knows what amazing insights you’ll find there! Amy loves to work with people who make a positive impact. 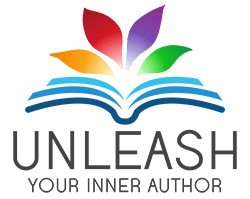 Amy is a Book Coach, Founder of Unleash Your Inner Author, and the Author of The Gratitude Connection. Amy helps changemakers on their journey to become published authors. & Make an impact with your book! What’s the Difference Between A Book Coach and an Editor?